New technology comes with new risks. Digital hacking is a problem that is becoming more prevalent. Everyone hacks for a different reason. Some do it to further their own personal agenda. The hackers that were interviewed in this article do it for “hacktivism” – an idea to make a world a safer place. 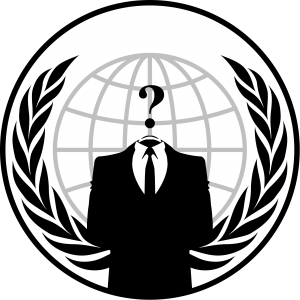 An example of this vigilante group is Anonymous. They are a worldwide group that wears masks to hide their identity and they target places such as governments, terrorist groups and financial banks. In this community, people play by their own rules. They make their own code of ethics. Some hackers hack websites if they don’t like what you stand for. While some of these hackers say they are hacking for justice, they also could be helping other hackers steal your financial information. One hacker writes software to create security flaws and then sells those flaws to make money. This can land you about $1000 a day. He doesn’t ask questions to the people who buy it. The buyers could either be using it for good purposes or bad purposes. This particular hacker does it because he can’t find a normal job or normal income. Another man name Morgan helps citizens find out whether or not their government is spying on them. He analyzes hard drives that have been compromised by government officials that contain malicious documents, which cause the computers to crash. He’s done this in Syria, China, and Morocco. This isn’t his day job, but he has a fundamental belief in privacy and human expression as human rights. In connection with our class, how does this ‘hacktivism’ align with America’s moral code of ethics? Hacking is illegal, but do you still consider it illegal if the result of the hacking makes the public better off?